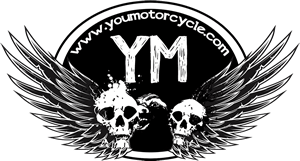 There’s a new four part video series out that compares motorcycles vs. cars at the track. The series is a collaboration between Evo Magazine and Bike Social, looking at the friendly rivalry between the biking and car community. Two Wheels or Four is the question being asked. The aim of the series is to translate that rivalry to the track, pitting two wheels against four with accurate track testing. 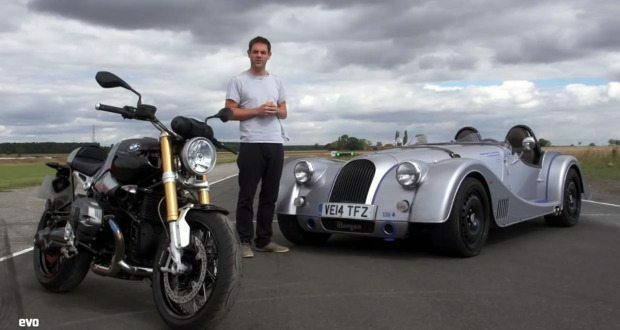 Funny that MSRPs were never mentioned in the videos… Comparing an $84,000 Jag with an $11,000 Triumph, and a $124,000 Morgan with a $15,000 BMW? Give me a break! We’re always interested in hearing from our readers, let us know what you think in the comments section below!